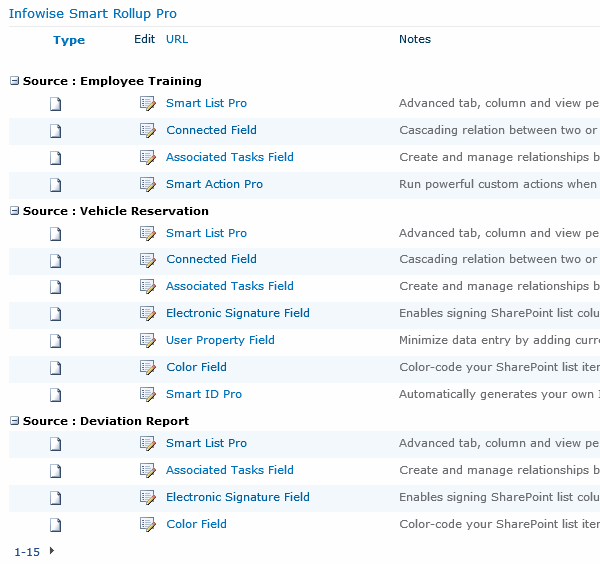 Smart Rollup Pro, a component of UltimateForms, helps you create a fully-functional unified view of items found throughout your site collection, according to specific conditions. Specify data sources throughout the site collection to retrieve and display items according to filters. Manage the items through fully-functional context menus.